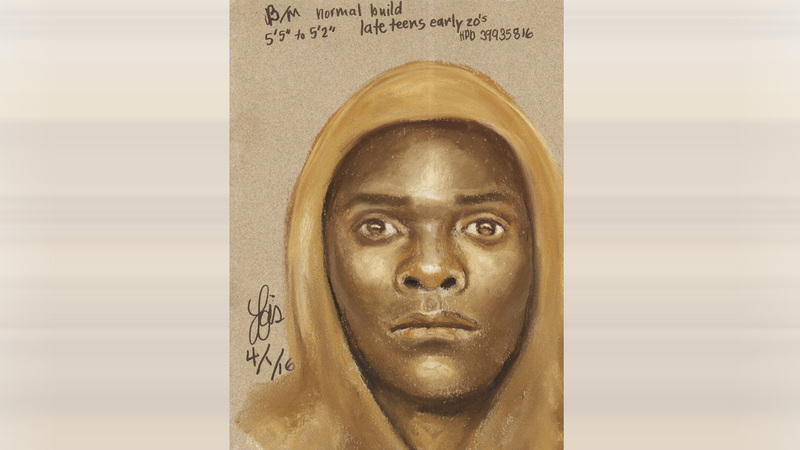 HOUSTON (KTRK) -- Houston police hope a composite sketch of the serial robbery suspect who gunned down a southwest Houston restaurant owner last month will generate the tips they need to catch him. Police believe the suspect is behind the armed robberies of a Shipley's Donuts off Stella Link, a Food Dollar store on South Post Oak and the New China Restaurant off Highway 6 in Missouri City. Police say he's also the same gunman who fatally shot 36-year-old Tri Minh Nguyen on March 29 during an attempted robbery at his restaurant, Wahoo's Fish N Wings, in the 12000 block of Fondren. In all four incidents, he was armed with a silver semi-automatic pistol. In at least of them, he got away in the same gold vehicle. The suspect is a black male who may be in his late teens or early 20s. He's around 5 feet 3 inches tall. During the March 29 deadly robbery, he was wearing sagging tan pants, a gray hoodie and distinctive light blue shoes.